Our nine inch tall pillar assortment includes nine diameter sizes of solid 100% natural beeswax. 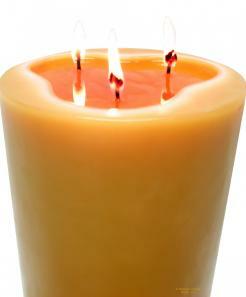 Did you know that a candle can be called "pure beeswax" if it is only 51% beeswax and 49% paraffin? Our company has sold only 100% pure beeswax candles since 1985.